BlackBerry DTEK50, the new giant of smartphone world launched at $299 (Approx. Rs. 20,000) in Black colour option. It will be available for pre-order from Tuesday and start shipping from 8th August. 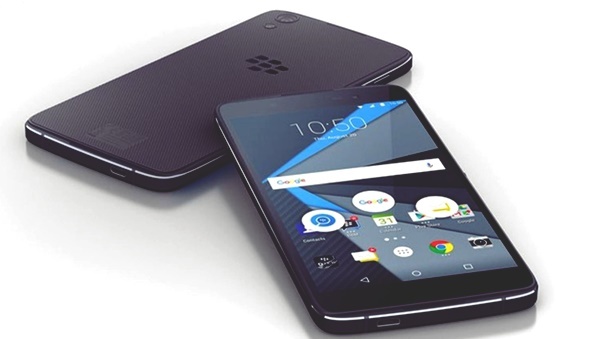 BlackBerry DTEK50 expected to launch in Q4 in India priced approx. Rs 15,000. It will counter Lenovo, Xiaomi, Samsung and HTC in mid-range smartphone market. It’s powered by a powerful Octa-core, 1.2GHz octa-core Qualcomm Snapdragon 617 processor with 3GB RAM, 16GB ROM and 200GB MicroSD card slot offers you superior graphics and gaming experience, boosting 3D interfaces, colors and textures and runs on Android 6.0 Marshmallow OS which allows you to enjoy millions of apps from Google play store. It also sporting a powerful 13-MP rear camera with f/2.2 aperture and dual-LED flash and Sony CMOS sensors(Sony IMX214 with zero shutter lag) perfect for low light shooting and 8-MP rear camera for video calling and selfies powered by a powerful 2610mAh battery with sophisticated power management technology offers you the longest battery life ever measures 147.00 x 72.50 x 7.40 and weight 135gm. Blackberry also earlier launched it’s high-end android Smartphone, Blackberry priv at $699 and Rs. 62,990 in India , UK at 559 GBP (Approx. Rs. 55,700) and Canada at 899 CAD (Approx. Rs. 44,500) respectively in n Black colour option. The all new BlackBerry Priv Smartphone offers you a bigger 5.4-inch QHD (1440×2560 pixels) Display with Pixels per inch (PPI) 560 offers you superior 180 degree wide angle view perfect for watching movies, playing games and reading e-books. It runs Android 5.0 Lollipop OS and powered by the fastest 64-bit hexa-core , Snapdragon 808 SoC clocked at 1.8GHz with 3GB RAM, 32GB expandable up to 2TB perfect for multitasking and offers huge space for your data. It also sporting a huge 18-MP Rear Camera with Tripal LED flash perfect for low light photography and 5-MP front camera for selfie and video calling packed with a 3410mAh battery including Dual-SIM Support, 4G LTE, NFC, Wi-Fi, Bluetooth, Finger Print scanner and USB Type C measures 147.00 x 77.20 x 9.40 and weight is 190gm. At last few honest word, BlackBerry DTEK50 is coming to regain it’s lost charm in smartphone market. What you think? Please be open to give your view.